The American kennel club recommended the Beagle as one of the most popular dogs in America No 4, used by English hunters to hunt foxes and rabbits, having three different colors as red, white and lemon, being cute and curious breed. 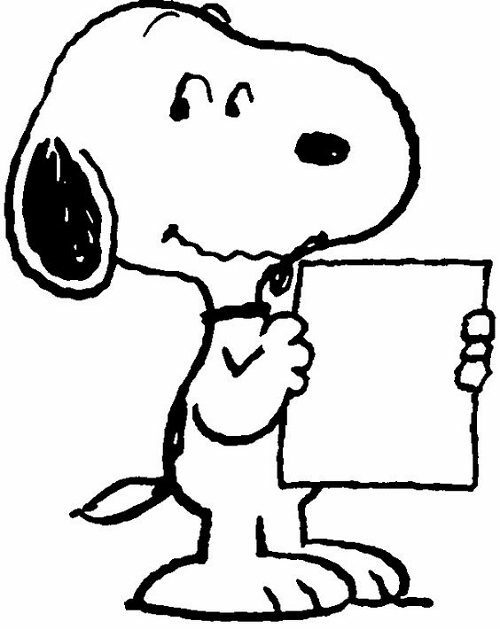 Snoopy, Charlie Brown’s dog in the ”Peanuts” comics is considered the most famous Beagle in pop culture. The beagle is considered an old breed, having its ancestors in England during the time of the roman empire. 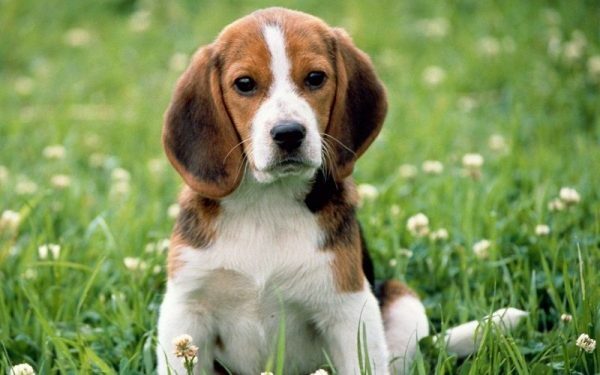 Although Beagles ancestors are used for hunting, they are known for being a slow runner. In 1870, General Richard Rowett from Carlinvile began to import Beagles from England to the USA to establish a quality bloodline, then the breeding continued and Beagles were recognized by the AKC in 1884. 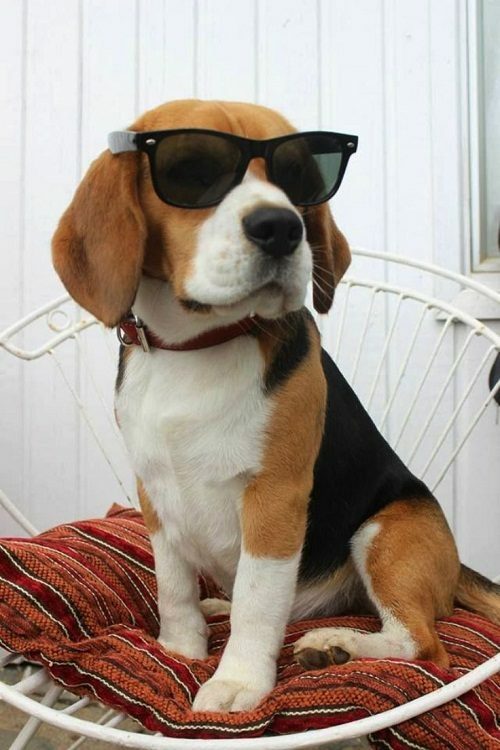 The term “Beagle” belonged to the french word bugler that means” to bellow”. Early Beagles were miniature, measured about 8 or 9 inches, being small enough to carry in a pocket or in on one hand. These small dogs were small enough to fit in your pocket. In the mid-18th century, hunting increased in popularity and larger dogs became excellent companions, leading to the extinction of miniature Beagles. 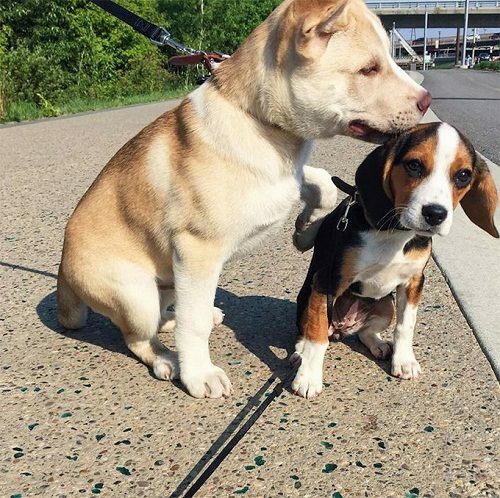 If the Beagle hasn’t any white color in its tail, it isn’t considered a pure breed. Some beagles’ tails may be largely white, while the others have just a few hairs on their tails. This white fur is considered a product of breeding, called the gay tail, being up when beagles are happy. 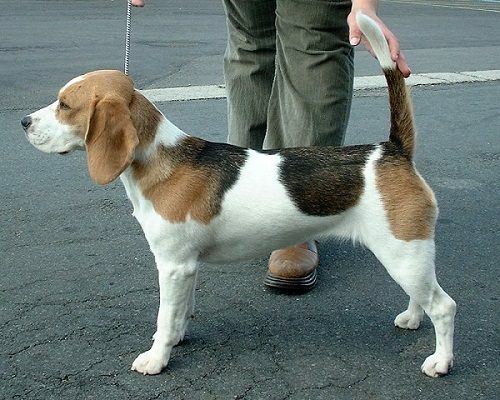 Tail docking is done with many breeds, including beagles by the hunters in the UK and USA. The American veterinary medical association is against tail docking as it is painful for the dog when the dog is young and the tail isn’t fully developed. 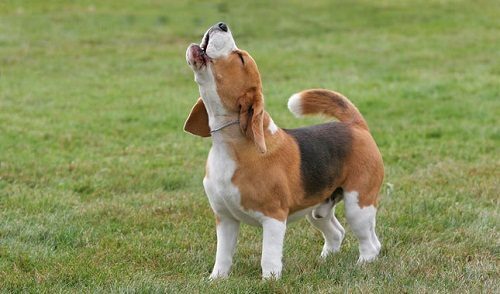 The beagle breed has vocal with barking and baying, having its name from the french word” bee gueule” that means ” wide throat” or ” loudmouth”. The USA government trains beagles to use them to sniff out luggage at the airport because the beagles have a very strong sense of smell. 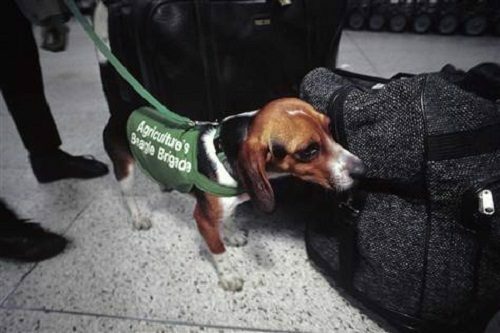 The ”Beagle Brigade” is used to catch contraband agricultural products and prevent them from being brought onto the American soil. 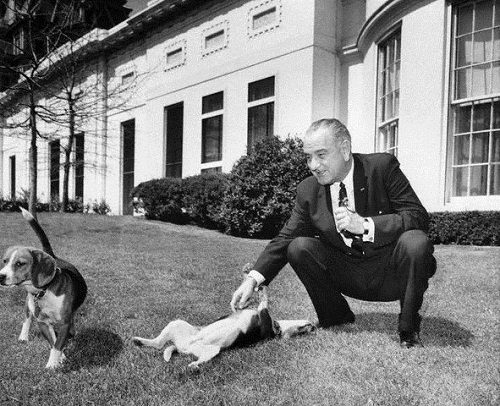 The president Lyndon Johnson had two beagles, named Him and Her, born on 27 June, 1963, photographed walking and playing with his beloved beagles in the white house, although the eccentric POTUS angered dog lovers when he was seen lifting him up by the dog’s floppy ears. 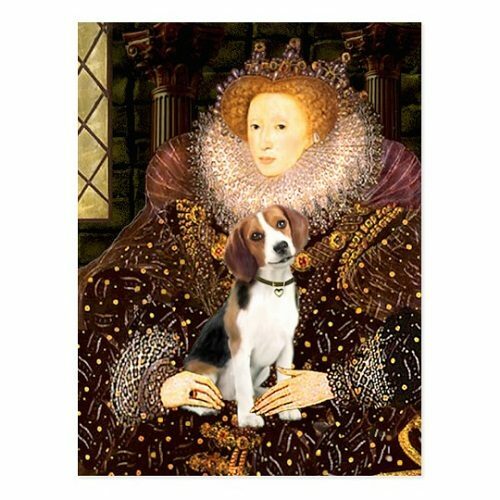 Pocket Beagles were first known in the Elizabethan period, being small enough to be carried in a glove or gauntlet. While there are few beagles that have the genetic tendency to be very small, you must also consider whether the dog looks like a beagle or just a small dog with beagle coloring. We should put many structural problems in consideration when breeding beagles as breeding for size only could be a disaster waiting to happen. 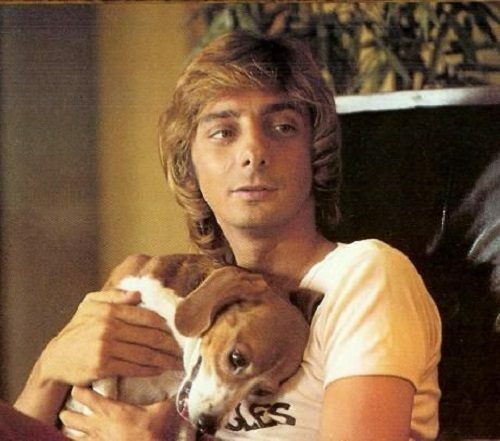 The singer Barry Manilow adopted a beagle, named Bagel, declaring his love for the beagles on the back cover of his album”Tryin’ to Get the Feeling” in 1975, where he posed with Bagel, wearing T-shirt that read ” I LOVE BEAGLES”. When Bagel had puppies, Barry Manilow gave one to Marie Osmond for her 18th birthday. Bagel had died by the early ’90s, being put on album covers of ” easy listening” and ”adult contemporary” sections of record sores. Snoopy is considered the most famous fictional dog in pop culture, born at the Daisy Hill Puppy Farm where Charlie Brown adopted him in the comic strip “Peanuts”, being silent for many years in the comic strip”Peanuts”, but he eventually became a rich inner monologue and active imagination. 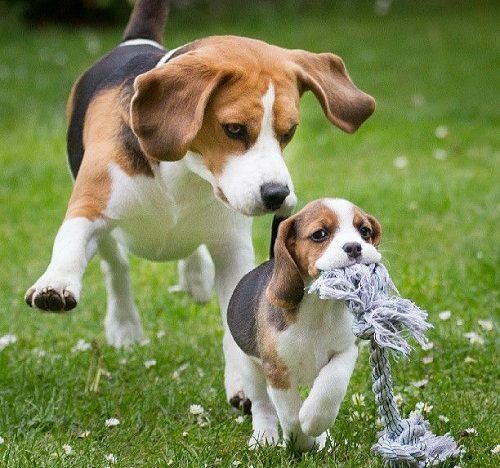 Beagles require a lot of training and care, so before adopting a beagle puppy, you need to be sure you can deal with their high level of energy. You should keep in mind that a beagle is a hunting dog, so you should understand how a beagle’s mind works to satisfy your puppy’s needs. Beagles are avid chewers, so you should check toys regularly to see if they are damaged. You should also make sure you get the food it has already been eating, and you should use grooming tools as bristle brush, comb, rubber gloves, nail clippers, dog shampoo, dog conditioner, dog toothpaste, toothbrush and towels. Before bringing your puppy home, you should make sure that your house is “puppy proof” by picking up any garbage on the floor, any food that is considered unsuitable for puppies or dogs, and any other objects that your puppy can swallow. 10 important facts about Beagles 10 Things You Didn't Know About Beagle Dog Beagle is a french word that means "loudmouth" Early Beagles were miniature Early Beagles were small breeds Queen Elizabeth was the first one who loved Beagles Snoopy from ''Peanuts" comic strip is considered a popular beagle The Beagle is considered one of the most popular dog breeds in America The development of beagles can be traced back thousands of years The president Lyndon Johnson had beagles in the white house The pure Beagle breeds have white tipped tails The singer Barry Manilow put his beagle on many album covers The USA department of homeland security employs Beagle Brigade"